I write regarding claims in the Alex Gibney film “Going Clear,” echoed in Gibney’s recent false and malicious Internet posting, that the Church of Scientology “blackmailed” and “harassed” the IRS to obtain tax exemption to which it was not entitled. I have continuously represented Church of Scientology International ("CSI” or the “Church”) and other Church of Scientology organizations for almost 30 years. I have been the Church’s primary tax and corporate counsel since before the 1993 IRS recognition that all churches of Scientology and related entities in the U.S. are exempt from income tax. I was present throughout the years of litigation, administrative proceedings and negotiations with the IRS that led to exemption and am intimately familiar with the details of what occurred. Had Gibney had any interest in learning the true facts, he merely had to ask me, or one of the other attorneys of record who represented the Church in front of the IRS. Clearly Gibney was not interested in the truth; he never contacted me or anyone else on this subject, so central to his propaganda about the Church. Gibney’s assertions about the relations between the IRS and the Church of Scientology are factually wrong and the film’s allegations and recent Internet posting in that regard are fatally inaccurate. Gibney’s assumptions and statements not only demonstrate his vicious bias, they disprove any pretense that he resembles in any way a “neutral” documentarian. 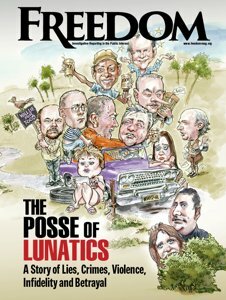 Contrary to Gibney’s, and his fellow propagandist, Lawrence Wright’s, assertions, the IRS has no authority to adjudicate whether Scientology is a religion, much less for such a determination to confer upon it “the vast protections of the First Amendment.” Beyond evaluating the sincerity of the asserted religious beliefs, the First Amendment specifically prohibits the IRS, and indeed, any government agency, from approving or rejecting the validity of religious claims. The only branch of government competent to address that question is the judiciary, and there are 50 years of uniform judicial precedent confirming that Scientology indeed is a bona fide religion protected by the First Amendment. Another IRS agent submitted an affidavit in a court proceeding, under penalty of perjury, which seems to be a leading source of the false claim that the Church engaged in various illegal or otherwise inappropriate acts of threats and/or harassment against the IRS. What is never mentioned is that not only did the court strike this affidavit from the record “because it has not been supported by any competent evidence,” the court also awarded the Church attorney’s fees and costs due to the IRS’s refusal to permit the deposition of the IRS agent, as the court had previously ordered. The IRS formulated Revenue Rulings singling out donations from Scientology parishioners for discriminatory treatment in comparison to how the IRS has always treated comparable payments by taxpayers of numerous other faiths. The IRS Chief Counsel, its senior-most lawyer, openly proposed to amend the tax regulations that define church as a “method of attacking Scientology." The specific details of pervasive, longstanding misconduct towards the Church by the IRS fill volumes, which Gibney knows or certainly has reason to know from his own sources: Gibney obtained an unauthorized copy of the copyrighted video recording of the 1993 Church event announcing the IRS settlement, which he uses without permission in his film. That video itself contains copies of a number of those very documents being shown to Church parishioners. For that matter, the IRS officials who concluded the settlement and whose pictures appeared in the 1993 video certainly do not appear cowed or intimidated. Far from trembling in fear from supposed harassment by Scientologists, or being overwhelmed by the Church’s actions, the IRS was using its own tremendous resources to test the limits of the Church Audit Procedures Act in a concerted effort to bankrupt the Church. 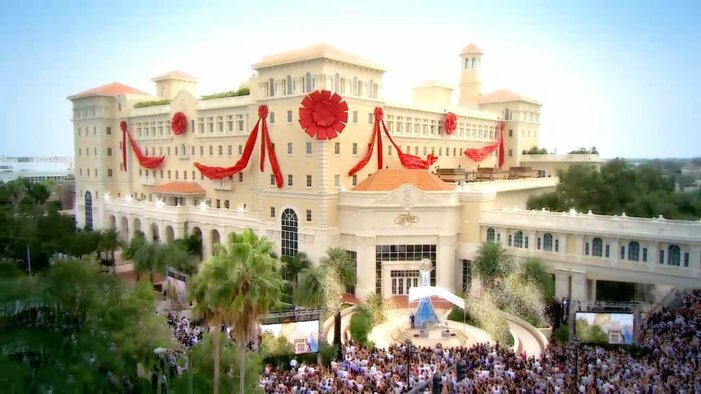 It was while the IRS was engaged in its litigation full court press against Scientology that the Church’s leader, David Miscavige, requested and ultimately obtained a meeting with the IRS Commissioner to propose a way to resolve the seemingly endless conflict. (Gibney’s crediting his sleazy source, Marty Rathbun, with a major role in the negotiations with the IRS is misplaced: I personally attended every one of the dozens of meetings; Rathbun was little more than a bag carrier, and a poor one at that.) This was clearly an appropriate time for the IRS to decide that a different approach might be in order, yet Gibney instead falsely paints this entirely reasonable decision in a sinister light. To accept Gibney’s version of events, one would have to believe that the former Commissioner of the IRS and the other high ranking IRS officials who took part in the negotiations with the Church were corrupt, along with the dozens of private attorneys and accountants involved in producing documents for their review. Gibney barely acknowledges that it took two years after this meeting for the IRS and the Church to conclude their settlement. Gibney also is conveniently silent about what actually happened during these two years, even though it is a matter of public record. All of the materials associated with the Church’s 1993 exemption rulings—the official application (IRS Form 1023) and its attachments and all correspondence between the Church applicants and the IRS with respect to those applications—were and are available to the public. When sent to the IRS reading room, which is where someone had to go in 1993 to review them, these materials occupied approximately fourteen linear feet of shelf space in the IRS. At the time this was by far the largest record ever submitted in connection with an IRS exemption application (the average file is two inches or less), and to the best of my knowledge that remains the case today. All of this information has been available to Gibney at all times since he began working on his film. 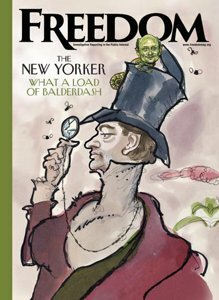 His primary source is Lawrence Wright, with whom I met during his work on his own book on which Gibney so heavily relies and to whom I made available all of the same information. Gibney never contacted me to ask these questions; instead, he, like Wright before him, has chosen at best deliberate, willful ignorance and at worst a conscious decision to misrepresent the facts. Gibney does not explain why it was somehow wrong for the Church to use its resources to bring to public attention instances of IRS misconduct towards others as part of its efforts simply to be treated fairly; clearly he cannot. He entirely ignores the overriding public benefit that resulted from disclosure of IRS waste (like taxpayer funded staff junkets to the Poconos, not at all the joke portrayed by Rathbun, which remain a recurring problem for the IRS today) and corruption in other parts of the IRS (like the egregious actions of agents of the Los Angeles Criminal Investigation Division, the very same office whose agents investigating the Church had conspired with apostate Scientologists and whose investigation went nowhere) that resulted in a Congressional investigation. Gibney also conveniently fails to credit the Church for its significant role in the passage of the Taxpayer Bill of Rights. For that matter, much of the leading case law under the Freedom of Information Act arose from the Church’s use of that legislation in litigation with the IRS and other federal agencies, to the benefit of all citizens. These decisions have helped a generation of Americans, including writers, journalists and, yes, documentarians, to exercise greater scrutiny over the actions of the government. But for Gibney, despite all of the associated public benefit from them, these actions are not only unworthy but sinister and wrongful because they also served to advance the Church’s own interests. Few if any churches or other nonprofits could satisfy such a cynical, myopic standard. Gibney’s film is replete with false and misleading statements and assertions about the relations between the IRS and the Church of Scientology and is nothing short of a vicious distortion of what actually occurred when the IRS recognized Scientology as a tax-exempt religious and charitable organization. Gibney needs to correct his film and to retract his false and malicious Internet posting.